Thomason isn't the only veteran taking advantage of the internet to boost his annual income. There are veterans located all across the globe who sell items and services online as a way to supplement their earnings, and for many of them, they simply do this for the same reason Thomason does -- to pass the time and keep their minds occupied. 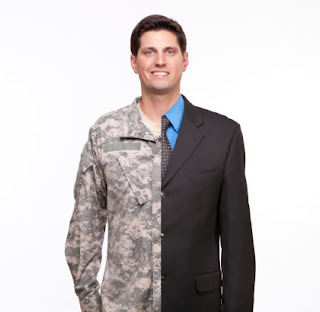 A former civil engineer for the US Navy, Zachary Scheel, says, "Veterans are comfortable operating in high-pressure environments that are changing rapidly, where they're constantly forced to make decisions with incomplete information." And while many common internet users may not think of the online world as being high-pressure, Thomason is sure to tell you different. From selling websites at exactly the right moment to creating content on a consistent basis, operating businesses and sites online is a full-time job that requires much attention, and more so, much intelligence. One of Thomason's most valuable pieces of advice to other veterans who are considering using their skills for work is not to become a recluse. Thomason says, "helping the community by being actively involved is the primary way I am able to sustain peace in my life. Sure, working from home is great, but getting out in the community and working with the children and other veterans is what keeps me moving forward from one day to the next." Thomason is the Commander of American Legion Post 81 and spends a great deal of time giving back to his community when he is not working.